Hey, you got Atlantik in my DIF. No! You got DIF on my Atlantik. Does anyone else remember those Reeses Peanut Butter Cup commercials or am I just a bit too nostalgic? 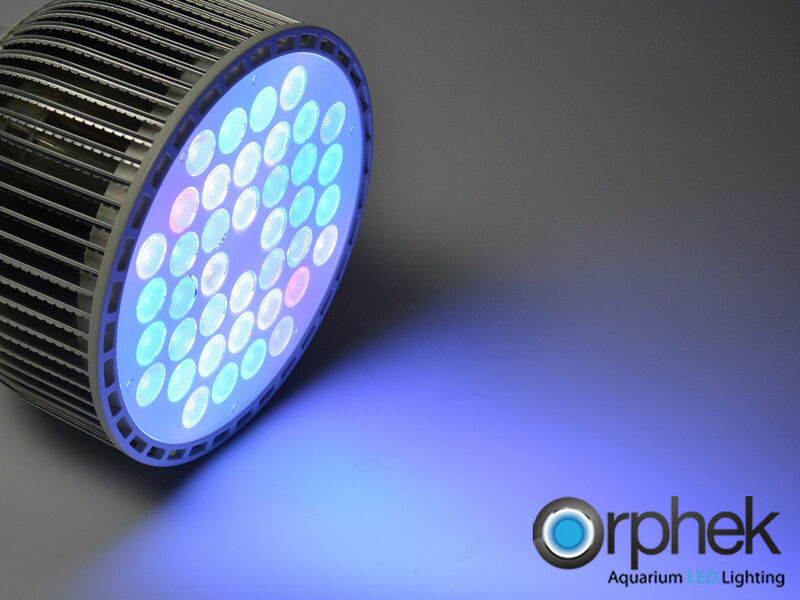 Well, as the metaphor implies, Orphek is blending their lighting technologies, cramming the LEDs from their flagship Atlantik fixture into their DIF pendant. Now, users can have the same power and flexibility of the Atlantik v2.1 but in a much smaller form factor. The light will replace the DIF, which is being discontinued, and it will feature the same wireless controllability that is channeled through an on-board WiFi module and Orphek’s free Android app. Similar to the Atlantik fixture, the pendant will enjoy controllability across four different channels, allowing users to fine tune colors and intensities to get the right look with the right amount of light. In addition to that, the app will allow for 8 pre-programmed modes for those a little less adventurous. And for those not needing any control, non wireless models will also be available. Some additional features found in the Atlantik pendant are Pulse Width Modulation (PWM) technology that helps the light deliver stable control over the LED intensities with no flickering as well as reduces the internal temperatures of the pendant to allow the light to be used to its full capacity with no harm of overheating. Further preventing overheating is an on-board sensor that protects the circuitry from the intense heat. The pendant is fitted with the same optics found in the rest of the Atlantik fixtures, which are suitable for tanks up to 40 inches deep, but 120 degree lenses are also available to help spread the light out. For more information and images, be sure to hit up Orphek’s press release.